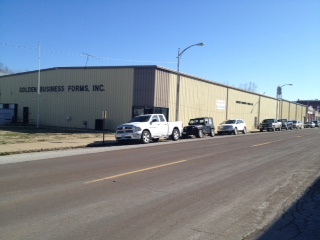 Golden Business Forms was established in 1963. 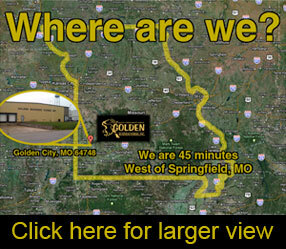 We are 100% distributor sales and are centrally located in Golden City, Missouri, the Heartland of America which gives us the edge on shipping costs to all locations. What makes us so successful and withstanding? Being debt free number one, coupled with our reputation. As you can see from our testimonials, we pride ourselves in developing relationships. Whether it is the initial call to the plant, getting a quote or checking on your order, we want to build the relationship and grow together. Why use Golden Business Forms? Ten presses 14" 17" 22" 24"
RUSH DELIVERIES NO EXTRA CHARGE! 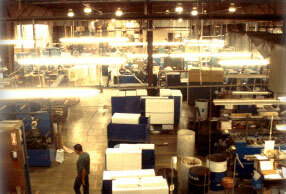 We are a state-of-the-art business forms printer, with an impeccable track record for reliability and service. We are dedicated to quality with a sincere desire to serve our customers. We offer short, medium and long runs. Our staff has the right technical skills and equipment to produce the results your customers want, and deliver on time. We're very cost efficient, which is reflected in our attractive pricing. Whether you have your own art-work, or need us to work with materials that have already been produced, or need full composition, we can make your project a success! You can count on us to get the job done right the first time and shipped on the scheduled delivery date. CREDIT: To establish open account status requirements must be met by completing and signing a (furnished) credit application and a satisfactory credit check. We reserve the right to set credit limits. Limits can be adjusted without prior notice. If a rush order is needed, please include payment in full and we will process the order while credit is being established. TERMS: Golden offers a 5% 15 day net 30 prompt pay discount on all form products except rolls. There are no discounts on roll products. We accept all major credit cards as a form of payment. PRICING: All prices are net, F.O.B. factory. QUOTATIONS: Prices quoted by telephone, fax or e-mail are not firm until a purchase order and copy has been submitted. All quotations are good for 30 days but non-promised delivery dates are subject to change depending on schedule at time of receipt. Freight quotes are only approximate and may vary on the invoice. Any change of specification are subject to requoting. 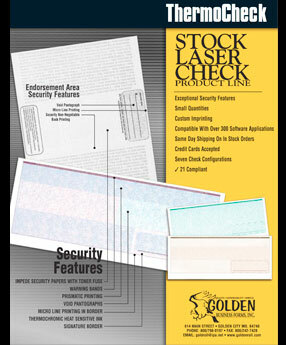 PURCHASE ORDERS: Golden must receive a clearly written order with a detailed copy (even with camera ready, black and white or negative) We will accept only exact repeats by phone, fax or e-mail, but the order must be confirmed with a confirming purchase order. Orders without clear specification, that necessitate phone questions and answers are subject to delivery delays. ACKNOWLEDGEMENTS: All orders will be promptly acknowledged and an approximate ship date given. It is the responsibility of the distributor to read and check the acknowledgement for accuracy against the original purchase order for correctness of the factorys interpretation of the order. Any discrepancies should be noted and reported to the factory. overrun or underrun. If no overrun or underrun is required, and exact quantity is needed, a 10% charge will be added to the price. 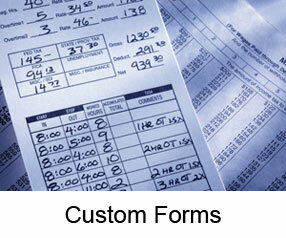 COMPLAINTS: Golden Business Forms makes every effort to ensure that your order is manufactured correctly. Unfortunately, errors do occur and the following is our policy. If the forms were printed correctly per acknowledgement, purchase order or approved proof, the factory is not responsible for error. We offer a 100% guarantee on the workmanship, quality, and performance of our product. We reserve the right to issue credit, reprint or repair the product at our option. We do not accept bills for repairs done elsewhere unless we are advised of cost in advance and have given written authorization. Return goods will not be accepted unless prior approval has been obtained. CANCELLATIONS: When an order is cancelled, Golden reserves the right to charge the customer for what work has been done prior to cancellation and for all materials special ordered for that order. We also will charge an amount equal to all other losses that might occur. STORAGE: Warehousing available at no additional cost. SPLIT SHIPMENTS: A split shipment charge of $2.50 per destination may be applied if there are more than two destinations per order. FREIGHT: Golden offers special rates to our customers. All orders are shipped F.O.B. Golden City, MO 64748 and are shipped prepaid and billed, unless otherwise specified. Enjoy your online visit and if we can be of help in any way, contact us!